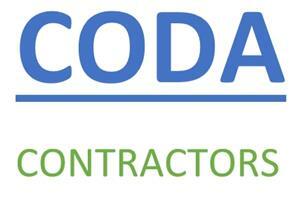 Coda Contractors - Builder, Carpenter based in Orpington, Kent. At CODA we deliver an all-inclusive and project managed Design & Build service for all residential and commercial properties across the South East. Our experienced team are devoted to excellence, working closely with our clients to ensure their vision and requirements are met and exceeded. We cater for all aspects of building work from new build extensions, kitchen and bathroom fitting to decorating, general property refurbishment and all maintenance. Our fully insured team of operatives at CODA are both reliable and trustworthy, and include builders, carpenters, plumbers, roofers, electricians, plasterers & decorators, who have been working in the industry for many years. They provide a comprehensive service which we believe lends itself well to our business. Every project is carried out professionally and on time, with a guarantee as standard to provide you with a ‘quality of work’ you can depend on. Free quotations and planning advice are available on request.